Most other plants will die if they lose 10 to 15% of their water. 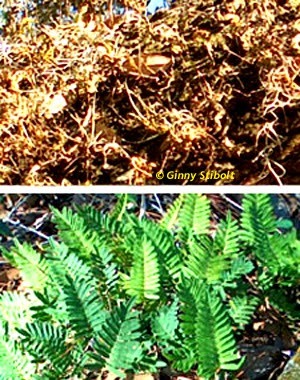 Scientists have discovered that this fern has a high concentration of a special protein (dehydrin) in or near its cell walls when it is brown. When the fern is green this protein is not present indicating a chemical reaction as the water exits the cells. In other words as the plant is drying, dehydrin allows the cell walls in the leaf to fold so that the unfolding when water is present can be reversed without damage. For the science of dehydrin see this paper in The American Journal of Botany. 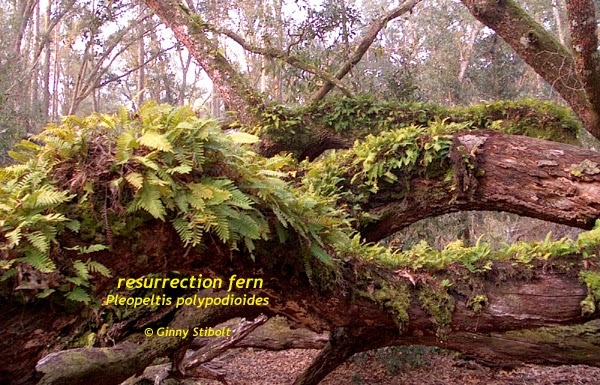 Steve Christman over on Floridata.com states that you can propagate these ferns by laying pieces of the rhizome into the furrows of the bark of the tree where you want to grow it. I may try this one day, because I'd love to have more of them around on our property. On the other hand, I can wait for Mother Nature to plant them in appropriate places without doing any work. 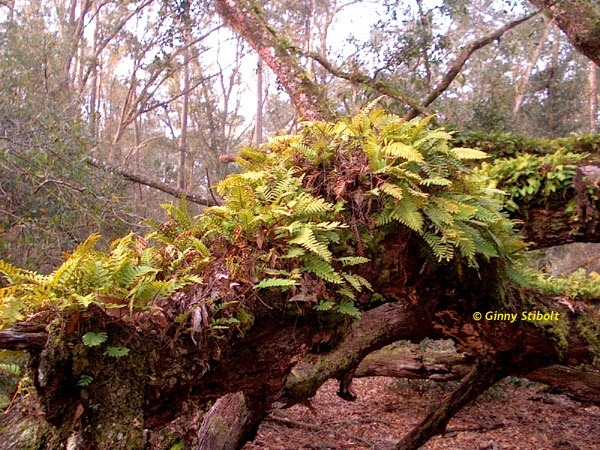 But whatever the science, these small ferns add to the charm of Florida's live oaks. 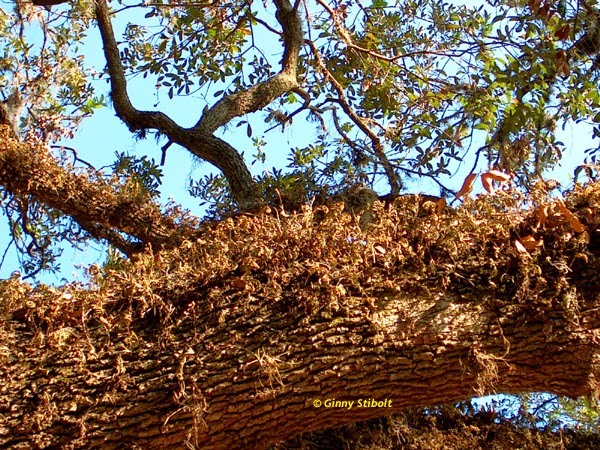 In their normal habitat: horizontal branches of a live oak (Quercus verginiana). This is in South Florida in the wet season, but the ferns are turning brown around the edges.